Repeat post from November 20, 2017. It seems like in 2017 America, character and decency are becoming characteristics of politicians that are important to fewer and fewer people of both political parties. Sure, many will speak out against immoral behavior [like sexual harassment/assault/bullying] against those on the other team when there is credible evidence against them. But when someone on their side is accused with credible common sense evidence, well, "let the voters decide" or "let a senate ethics committee decide". "I just heard two of the most disturbing things that makes you wonder what has America become. First I heard that Al Franken's apology for his immoral disgusting behavior was read before a group of women--and they actually applauded --I want to throw up! Then I just heard the Governor of Alabama--let me repeat that-the governor---say she will be proud to cast a vote for Roy Moore. I want to throw up again!" 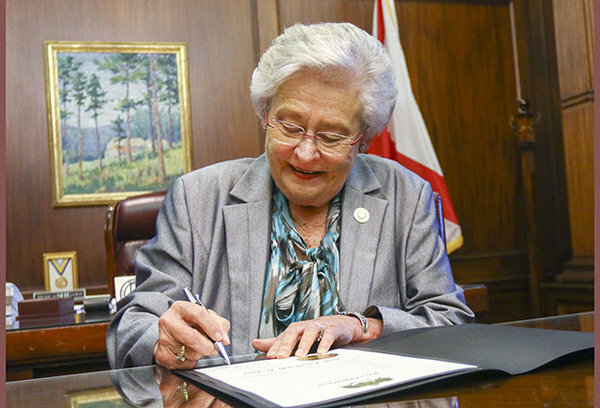 I should have added that the woman Governor of Alabama, Kay Ivey, admitted that she had no reason not to believe the accusers of Roy Moore, but she was still voting for him to make sure a Republican held that seat. Think of that. There was a 14 year old girl [at the time] who accused Moore of a sexual assault, but that's not a problem with Governor Ivey because there are judges that need to be confirmed and the GOP needs that seat. The women who applauded the statement by Al Franken and the Democrats who say, "let's send this to the ethics committee" and the Governor of Alabama who is proud to cast a vote for Roy Moore and the people like Sean Hannity and president Trump who said, "let the people of Alabama decide" are the enablers of such bad behavior. Why would Franken resign or Moore leave the race when you have such enablers. You would think Senator Franken would resign on his own from shame with this immoral revelation coming out, but I guess this just shows how indecent a person is Franken. As far as Moore goes, it has already been revealed how indecent a person he is when he was suspended twice as a judge on the Alabama Supreme Court for not following rulings of the United States Supreme Court. And this is the person that Governor Ivey says should be elected despite whatever he might have done to teenage girls when he was in his mid 30's. I remember a time when the Republican Party would disavow a bigot racist, David Duke, when he ran as a Republican, even telling the people to vote for the Democrat to make sure he didn't win. If, as it looks like, there is not a write-in candidate and the race is between Moore and the Democrat, I am wondering how many from today's Republican Party will ask the people to not vote for Moore. And on the other side, are there any decent Democrat politicians who will tell Franken to get out? I am not going to hold my breath. The tribalism of party/ideology seems to be trumping decency today. Update: At least in the two cases listed above a little hope was given as indeed Al Franken was forced to resign and Alabama voted no to Roy Moore - both men are not in the U.S. Senate today, thank God.